Turnkey contract manufacturing for major railyard and locomotive engineering company. Wireless railyard track switch control system. Deployed within railyards to allow wireless remote control of large hydraulic railyard track switches. 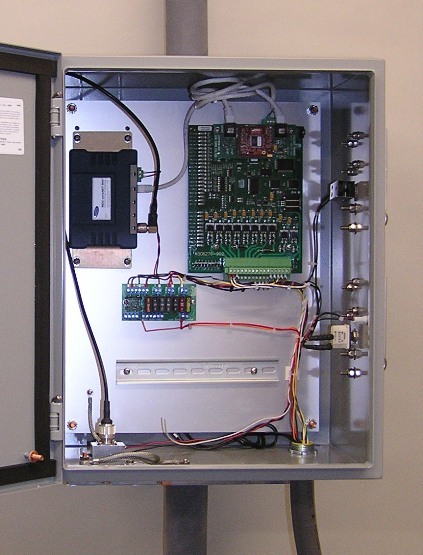 Custom design of NEMA - rated enclosure as well as custom control boards and general cabinet layout. Also, low-volume, turnkey manufacturing of control boxes in quantities of 40-60 units per order.